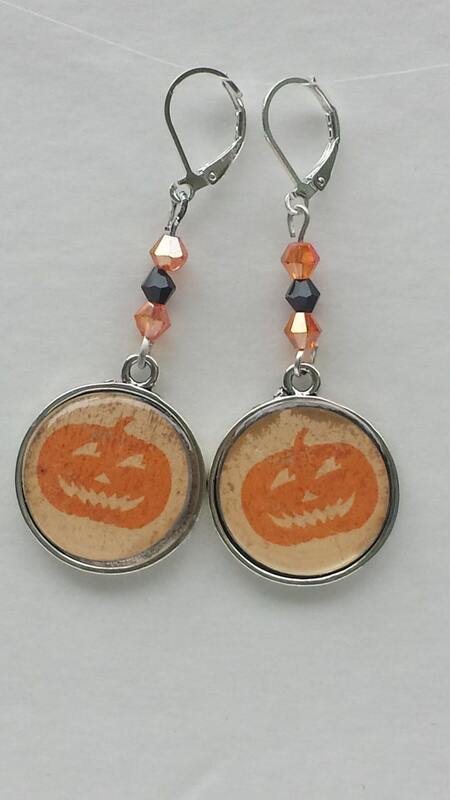 These earrings are made using vintage Halloween designs I found. They are mounted onto a silvertone finding covered by a resin sticker. Black and orange crystals give it that traditional Halloween look. These are light and fun to wear. These earrings can be your "treat" for this fun time. They aren't fattening or bad for your teeth! If you would like to see these earrings with different colored crystals, just convo me. I would love working with you. When purchased, these earrings will be packed in a box, then a padded envelope.